Upon receiving your email and approved by MRuncit operator, MRuncit will inform you through email once the screenshot is uploaded on the contest page. The top 3 game scenes with the most creative description will be the winners. Share and invite as many as your friends to join the contest. 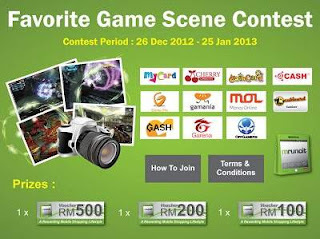 Visit MRuncit Favorite Game Scene Contest for more details.